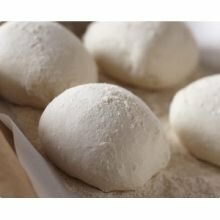 Best Pizza Dough To Buy: Which One is the Best? You love pizza. We love pizza. Everyone loves pizza. When it comes to pizza, the toppings are not the issue. It is hard to find fault with the toppings. It is the base which divides everyone. Is there such a thing as the perfect pizza base? Well, the mythical perfect crust may not be out there, but we are here to bring you the best pizza dough with which to make your crust. Start with the best, and you are on your way to dazzling your friends with your pizza-making skills. You get two packs of dough with this kit. 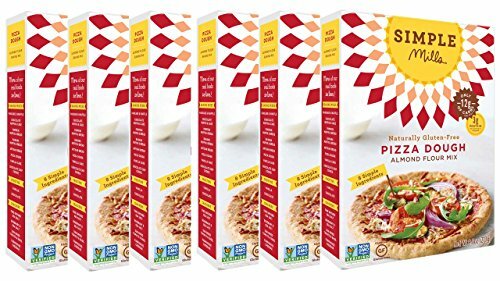 Each pack of dough contains enough to make two thick 10” pizzas or four thin crust 10” pizzas. We love how easy it is to use this kit. What do you need to add? Water. That is it. Simply add water, and you have dough for pizza, focaccia, calzones, and Stromboli. We like that this dough kit has the versatility to help you create a wide range of classic Italian dishes. There are three simple steps to go from dry ingredients to elastic dough. 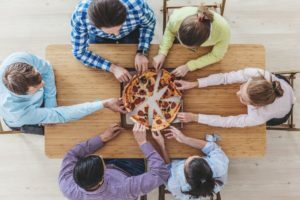 This dough kit is so easy to use that it is great for kids to make their own pizza dough and pizzas. This pizza dough is the dough with tastes closets to a traditional Neapolitan pizza. 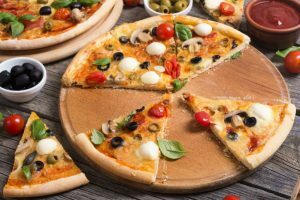 The ingredients used are high quality, and when you make thin crust pizza with this dough, not only will you have four pizzas instead of two, but you will love how the thin crust tastes. This is the dough choice for anyone who wants to take ease of use to the next level. The dough is pre-made. When it comes to you it will be frozen (the dough is flash-frozen to lock in the freshness). 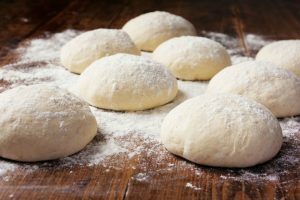 All you need to do is place the box in your freezer and pull out a dough ball when you need it. 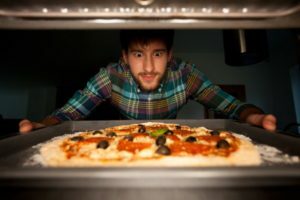 The dough does need three hours to defrost, so make sure that you pull it out early to make your pizza. 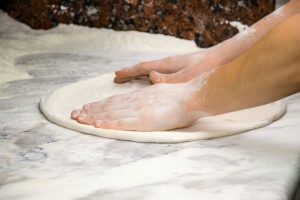 The dough is pre-made and kneaded for you. There is no need to add any extra ingredients. Simply defrost and roll. This is also a pack which gives you a lot of dough. Each box comes with 60 8-ounce dough balls. This is enough pizza dough to keep you in pizza for months (depending on how much you love pizza). You have enough pizza dough to create your own pizza party, with the option to use individual portions if you desire. You get 6 boxes of pizza dough mix with this order. Each box is 9.8 ounces and will make you two 8-inch pizzas. The main selling point here is that the mix is gluten free, so if you cannot eat gluten (or choose not to eat it), then this dough mix is perfect for you. The mix is also free from many other ingredients which can cause reactions (it is grain free, soy free, corn free, dairy free, gum free, and more). The dough uses almond flour, coconut flour, and ground flax in place of traditional flour. There are also herbs added to the crust to add flavor to a gluten-free crust which would often taste bland. 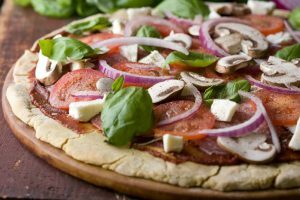 Simple Mills is all about creating a great-tasting dough while using nutritious ingredients (they even add cauliflower to the mix). Making the dough is easy, but you do need to use more than just water. Oil, apple cider vinegar, and water are used to create this gluten-free dough. Once you have your ingredients mixed, this dough is just like any other. Roll it out, add your toppings, and you are ready to bake. This pizza crust is also great for vegans (and vegetarians by association). If you are looking for a healthy pizza base for your pizza, then look no further than this one. The thing about pizza is that even when it is bad, it is still good. Try to think about a bad slice of pizza that you have had. It is hard, isn’t it? Well, if you are going to do pizza, you may as well do it right. Bad pizza is good, good pizza is great, and great pizza is amazing. 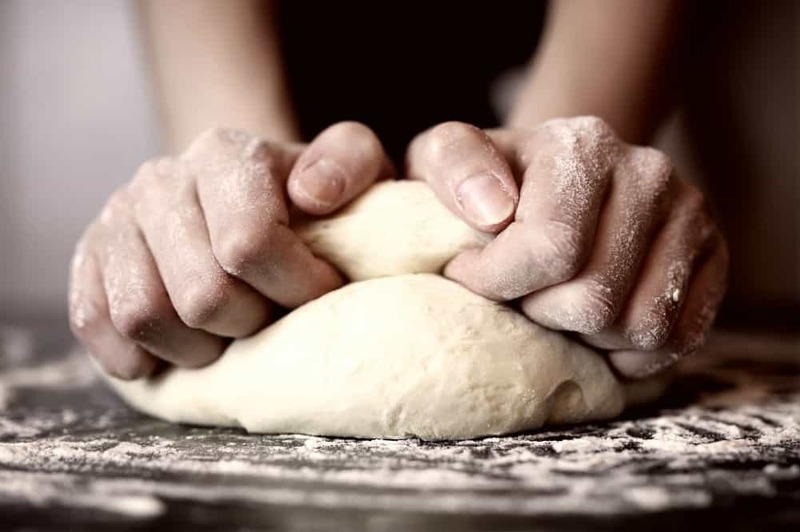 Start with the right dough, and you are already halfway there. It is hard to choose the best dough when we look at these three options. 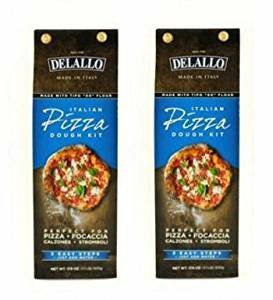 If you need something without gluten or are following a diet of some sort, then the choice is easy, but for everyone else, we would recommend the Delallo Pizza Kit. Yes, you have to pay a little more for this kit than you would for over pizza doughs, but you are paying for quality. 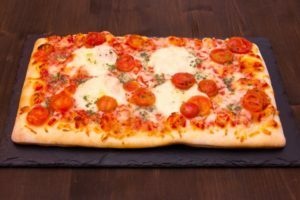 The Delallo Pizza Kit is crafted from high-quality ingredients which shine through when you bake your pizza (especially when you use it to make thin-crust pizza). We also love how easy the pizza dough kit is to use. With only water to add, you never have to think about what you need to make this pizza. You can plan ahead, or you can create your pizza on the spur of a moment. 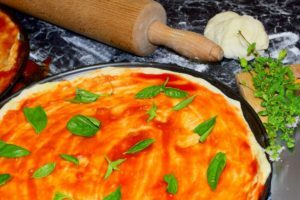 When you do decide to make this pizza dough, you will continue to be pleasantly surprised at how easy this kit is to use. This is a versatile pizza dough kit which can be used for more than just pizzas. 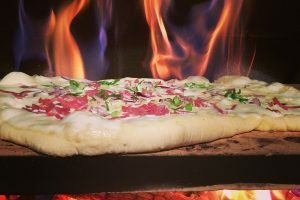 The kit is easy to use and results in some of the best pizza you will have ever tasted.